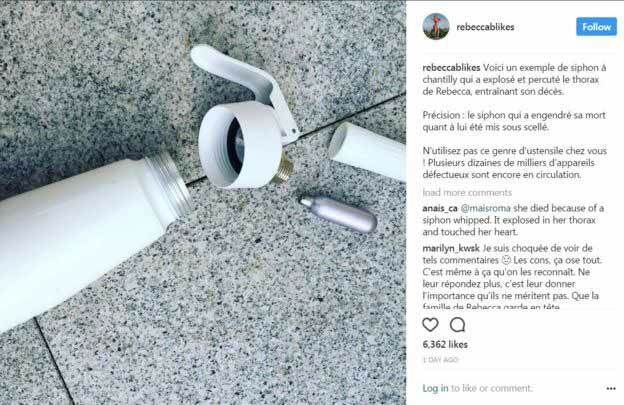 In 2013, one victim of an exploding cream dispenser told RTL radio: "I had six broken ribs, and my sternum was broken. "At the hospital, I was told that if the shock and blast had been facing the heart, I would be dead now." The number of accidents prompted the government office for consumers to issue a warning, saying the accidents stretch back as far as 2010, and can occur at any time - even after years of use.